To the generation with parents and grandparents who fought in the Second World War and who learned about the Holocaust, Fascism and the dangers of far right radicalisation on the school curriculum Nazism seemed a horror consigned to the most shameful parts of modern history. It was unthinkable that an ideology as discriminative and inhumane as that followed by a man who wanted to eradicate an entire religion from the face of the planet could ever once again be seriously entertained as political theory. But make a comeback it has, in a manner that needs to be exposed a great deal more publicly than it has been. It is important that Nazism as a term is clearly defined. I am not using the word as a euphemism here or as a substitute for far right hatred, for which it is often mistakenly used. I am using the word literally. There are a growing number of people today who genuinely claim to be Nazis in the sense that they admire the doctrine of Adolf Hitler and share his hatred of the Jewish people. There is some debate as to whether Fascism started as a left wing ideology. In modern debate this stems from both a misunderstanding of the term “National Socialism” and a determination from those of a far right persuasion who do not identify as Nazis to smear the political left with a perceived link to the Nazi philosophy. A full discussion of Socialism, Nationalism and Capitalism is beyond the remit of this article but stated very simply Socialism is a political theory that advances the well-being of those worst off in society, advocates state owned utilities (think NHS) and promotes democratic consensus and the voice of the people. Fascism is an elitist political system where the government is heavily influenced by non-state run businesses run for Capitalist gain, the focus is on Nationalistic identity rather than individualism and the voice of those in power is closer to dictatorship than democracy (think Hitler). On a first reading some items on the National Socialist Party’s 25 point plan do read as being close to Socialist principles. Specifically “All citizens must have equal rights and obligations,” and “We demand that the state be charged first with providing the opportunity for a livelihood and way of life for the citizens,” sound to echo Socialist values. But it is important these points are read with regard to the overall context which is that citizens are defined solely within the Nationalistic sense of being German born. This is specifically pointed out in the doctrine – “Only a member of the race can be a citizen. A member of the race can only be one who is of German blood, without consideration of creed. Consequently, no Jew can be a member of the race.” The underpinning premise of National Socialism was the pursuit of inequality based on Nationalism. In no sense of the word could this divisive ideology be considered to be Socialism. The Nazis of the 21st century refer to themselves as Neo Nazis. This is essentially 1940s Nazism stripped right back to those key principles of inequality and division. Neo Nazism does not even make the pretence to be advancing the rights of citizens, it is focused entirely on the dehumanisation and objectification of those it does not deem to be worthy of citizenship. 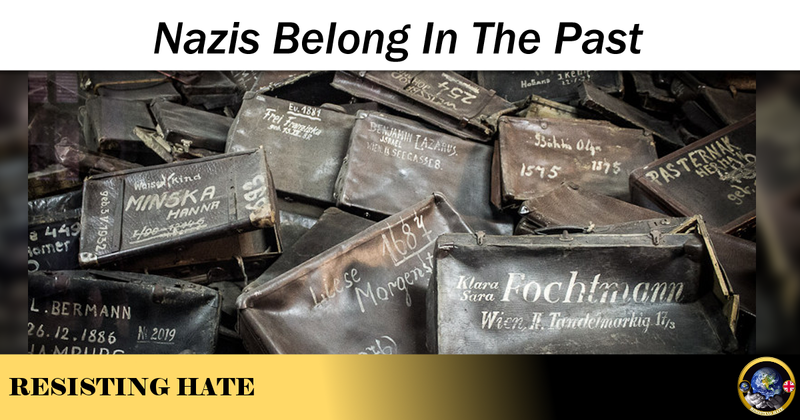 In seeking to create divisions Neo Nazism has retained the anti-Semitism of old but the focus and obsession with racial purity (translated – they only like white people) has also contributed to a rise in Islamophobia and anti Muslim hatred. Whereas Nazism was abhorrent in believing dehumanisation to be a means to an end Neo Nazism is abhorrent for seeing it as an end in itself. Neo Nazism is not political theory it is an attempt to justify the thuggery, ignorance and hatred of a bored and vicious minority sector of modern youth. Neo Nazism first found its home on social media, primarily on Twitter and hate sites like The Daily Stormer but is also now spreading to far right social media sites like GAB which have been specifically envisioned to create right wing echo chambers. 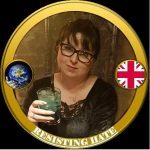 The rise of Neo Nazis on social media is a serious concern because it exposes the young and the naïve to a radical doctrine of hate and dehumanisation. News events like the appointment of Donald Trump to the American presidency and in particular his appointment of Breitbart anti-Semite Stephen Barron to the position of his senior advisor have given Neo Nazis the self-illusion of having credible acceptable views and provided them with the confidence to keep posting their hate on public forums. The inability to act from social media giants (we have seen evidence that Facebook allow private groups which discuss “alternative” ways to stop UK immigration), entertainment sites (why is Holocaust Denier Alison Chabloz allowed to sing her venom on YouTube? ), web search companies (Up until last month the auto correction on Google for “Was the holocaust…. 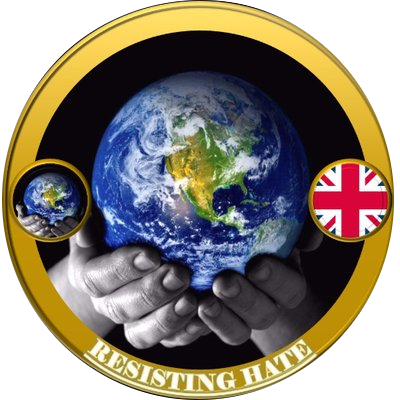 ?” ended in “a hoax,”) main stream media (LBC continue to employ Katie Hopkins despite her publicly endorsing anti-Semitic Twitter accounts) ISPs (why is white supremacist forum Stormfront not blocked in the UK?) and the government (Why is racist hate group Britain First not proscribed?) have all been instrumental in allowing this resurgence in Neo Nazism. The online upsurge in Neo Nazism has morphed into physical acts and violence around the world. In America a group of armed white supremacists plan to march through Montana as a “protest” against Jewish people and Jewish run businesses. In the UK youth group National Action were allowed to make numerous street “protests” and hold rallies openly inciting hate against Jewish people before finally being proscribed as a terrorist organisation. 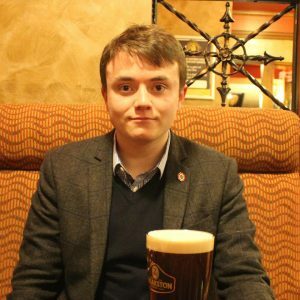 Following many complaints by ourselves and others to Twitter, National Action spokesman Jack Renshaw* has finally had his account suspended. The Prevent program in the UK which attempts to identify young people in danger of radicalisation has reported a massive 74% spike in far right referrals. Even more worryingly is the fact that 300 of those are reported to be under 18 with some as young as ten. Most people have heard the quotation from George Santayana; “Those who do not learn the lessons of history are doomed to repeat them, ” and the sentiment is true. It is imperative that the horrors of Nazism never leave our educational syllabus. Every generation must be taught how the pursuit of a far right nationalistic doctrine can end in devastation and genocide. And those of us who were taught about Nazism at school? We have learned our history. We do not have the excuse that we are uneducated or uninformed. We have learned the dangers of an extremist far right ideology, we have learned the consequences of Nazism, of radical expansionist Nationalism. We have learned what happens when human beings are dehumanised and abused. Yet despite this knowledge and our bitter understanding of where a path to Neo Nazism would take our countries we are still failing to take the action needed to stamp out the Nazi resurgence before it indoctrinates our young and our vulnerable into hatred. Those of us who are unwilling to use what we have learned from history and teach the next generation are doomed to watch our children repeat the mistakes of the past. Nobody can change 1939-1945 but anybody could change 2017. *Looks like a 12 year old choirboy, here is a picture. Communism is surely as vile as fascism. It tells folks what to think, as you do. Alison Chabloz? Gagged, Jack Renshaw, jailed. Raybould, hunted.